In an interview I was conducting for Esquire Magazine, I asked Christophe Megel, the CEO of At-Sunrice GlobalChef Academy Singapore, what his thoughts were on preserving the local cuisines of Singapore. He answered, "If anyone ever wants to learn about a cuisine, the first place I point them to isn't the kitchen. I point them to the museums." To first understand a cuisine, you must understand the history that influenced it. But Singapore's cuisines, he points out, isn't being documented properly. There may be the recipe here and there on the internet, but a list of ingredients isn't going to explain the techniques behind what makes bakchormee (A) so much better than bakchormee (B). 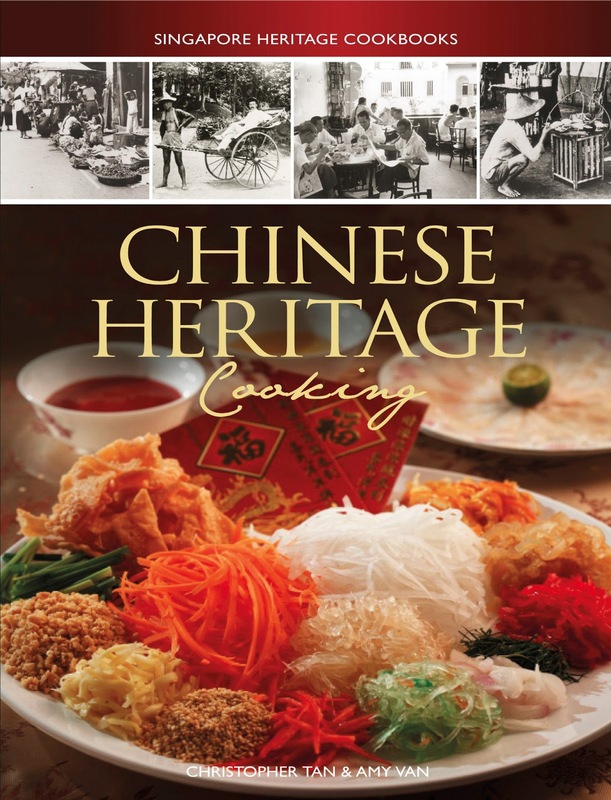 Thank goodness that the book, Chinese Heritage Cooking was published last year by two of some of Singapore's most talented and knowledgeable food editors, Amy Van and Christopher Tan. The book not only covers recipes from the five major dialect groups from China (Hokkien, Cantonese, Hainanese, Hakka & Foochow, and Teowchew), but it goes in depth about the history behind the Chinese population of Singapore, the traditions behind the various cultures, the evolution of the cuisines, and a guide to cooking and preparation techniques needed in the Chinese kitchen. The recipes in the book range from familiar favorites found in Singapore and China to the less common dishes, and plenty of both hawker-simple and lavish festive dishes to choose from. And most importantly, the recipes have been presented with enough detail to allow even novice cooks to attempt them, so that these heritage flavors can be passed on. Amy and Chris have been so kind as to allow Gastronommy to publish some of their recipes here for you to try out at home. The first to be presented will be Steamed Radish Cake. This is one of my favorite comfort foods, having grown up eating my grandmother's lovingly made tins of it over the years. I'll have to do a side by side comparison of our steamed radish cakes one of these days. 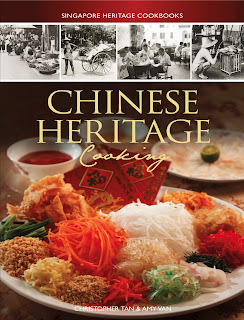 Chinese Heritage Cooking is available in all major bookstores in Singapore and Amazon. That's going on my wish list. Not too early to start one for a May birthday right? Never too early! :) Definitely worth it.